Megan Atencia uses art to heal, one poem at a time. Megan Atencia performs at the 8th Grand Ave Festival on Nov. 12, 2016. 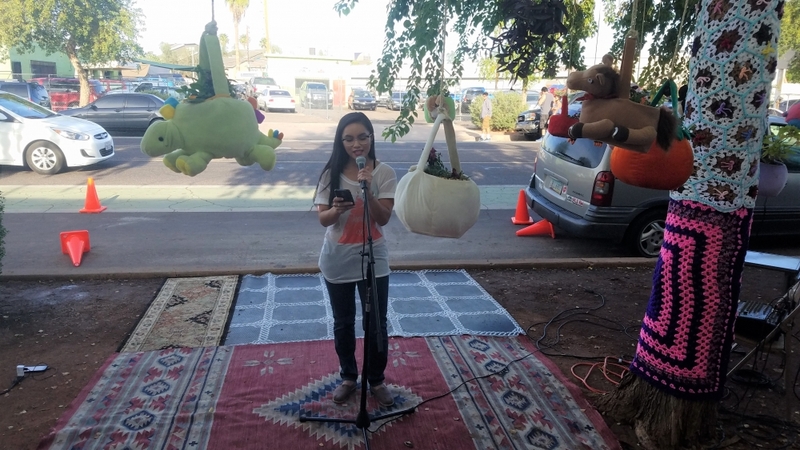 Atencia is an up-and-coming poet in the Phoenix community. The excerpt above is from ASU student and slam poet Megan Atencia’s poem “The City Lives." Atencia found poetry at ASU when she enrolled in a slam poetry course offered last spring. Originally a pre-med student, Atencia decided to switch to a double-major in global health and English literature after discovering her talent for writing. She is driven with a need to help people, a quality she found easy to do through spoken-word poetry. Although her passion for poetry is a fairly new addition to her life, Atencia has always been an artist. As a songwriter, a self-taught pianist and guitarist and a singer, Atencia is no stranger to performing. Her strong background in music helped her transition into the world of poetry. Atencia said she finds her inspiration for her poems in her daily life and the lives of those around her. One of Atencia’s teachers, a professor of English, James Blasingame, commented on the technical aspects of Atencia’s poetry. In the beginning, Atencia said she had a difficult time finding a community to help support her passion. Atencia described the slam community in Phoenix as inconsistent, something that she and other slam artists are trying to change. Atencia’s perseverance has not gone unrewarded. In almost a year since Atencia began her life as a poet, she has embedded herself into the slam community not only at ASU, but around the Valley as well. Atencia performs her poetry around the Valley at open mics, art festivals and slam competitions. She is an active artist on Instagram, Facebook and Twitter, she has her own website. She will be introducing her own YouTube channel in December. Atencia is currently doing a series of poetry workshops at a local mental hospital where she works with adolescents, using poetry to heal. 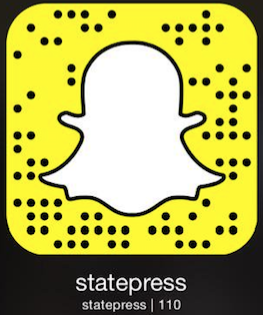 Reach the reporter at sgibbybr@asu.edu or follow @sckyrayne on Twitter.